Viva Wyndham Dominicus Beach hotel in Bayahibe, Dominican Republic, has become a great all-inclusive hot spot for couples and families. It is famous for its still unspoiled, beautiful, sandy beach, surrounded by the emerald transparent water of the Caribbean Sea. Viva Wyndham Dominicus is situated 16 kilometers (25 minutes ) from the city of La Romana; 35 minutes from La Romana Airport and 60 minutes from Las Americas Airport in Santo Domingo. The hotel is situated on one of the most beautiful beaches in the Dominican Republic. It is the closest one to the National East marine park. The hotel is a starting point for boat tours to the magical island of Saona. The resort offers 1,5 kilometers of private beach to its guests. Viva Wyndham Dominicus is located in an area which is much quieter than the famous Punta Cana Resort. You can enjoy the endless sandy coastline without meeting annoying crowds which are typical for Playa Bavaro on the East coast of the island. Walking along the shoreline is an amazing experience especially at the end of the day when you can admire a spectacular sunset. The small coral reef here offers snorkeling around tropical fish. 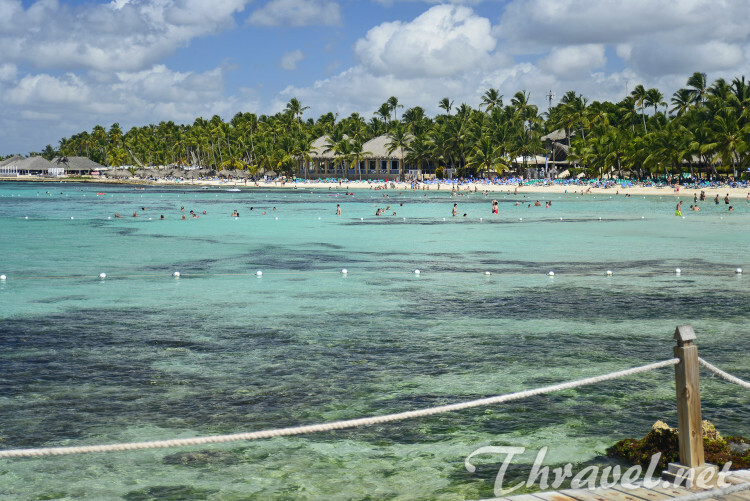 The beach of Viva Wyndham Dominicus hotel holds the Blue Flag International Certificate which is a recognition for its clear water. One of the main attractions for tourists is scuba diving. In fact, there are more than 20 places where you can explore the rich underwater world of the Dominican Republic. This all-inclusive hotel promises great Caribbean experience full of passion, rhythm and fun. The place provides a tremendous selection of fun activities – land and water sports, dances, and thrilling nightlife. There are also good shopping options not only in the hotel`s area but outside it. There are two zones in Viva Wyndham Dominicus named the Beach and Palace. Viva Wyndham Dominicus Palace is a more expensive accommodation. It has 330 rooms. Palace building is more close to the main restaurant Yuca and to the swimming pool which attracts the Italian tourist community. Most of the rooms offer beautiful view to the hotel`s lake and its inhabitants – flamingo and other tropical birds. The Viva Wyndham Dominicus Beach consists of more of 600 rooms with ocean or garden views. Some of them are located in three-story buildings. Others are in beach front bungalows featuring coral stone building and palm roof. The Beach studios are more suitable for families with small kids since many of them are located far from the hot spots of the night entertainment. There are 7 restaurants offering variety of Caribbean and international cuisine. There are two main restaurants – La Terraza Buffet and Yuca. You do not need a reservation to eat there. La Terraza offers a waterfront dining experience. It is closer to the amphitheater where every night there is thematic show and musical. Both places offer an international buffet as well as thematic dinners. You can try Asian dishes, Mexican plates, Italian pasta, Creole specialties, etc. During all of the night you can eat at La Pizzeria Restaurant. Every guest can choose to have dinner at 2 of the 6 a-la-cart restaurants in the resort. Depending on the length of your stay you will be able to visit eventually 3 special eating places. La Roca Grill is open for lunch. In the evenings it is a classy a-la-carte restaurant. Another place to eat for gourmands is the Fusion Restaurant. Il Palco Italian Restaurant offers pasta and pizza. Viva Mexico serves Mexican food while Bambu restaurant – Asian specialties. Viva Cafe Mediterranean Restaurant will leave you amazed. This Mediterranean a-la-carte dining place sits on a terrace overlooking the sea. Atlantis Restaurant offers a variety of sea food. You can try it if you pay additional charges. This is the perfect place for your vacation if you love nightlife. You will be surrounded by fun-loving Italians, French, people from South America and US who enjoy partying, dancing and drinking. After the dinner the square near La Terraza and the place around Palace`s swimming pool host dancing parties, live music entertainment, beach parties and many more. Thanks to the Viva Wyndham Dominicus animation, the party never stops. This inhabited beautiful island is the most famous spot in the national marine park. Here you could explore virgin beaches, impressive diversity of corals and natural attractions. 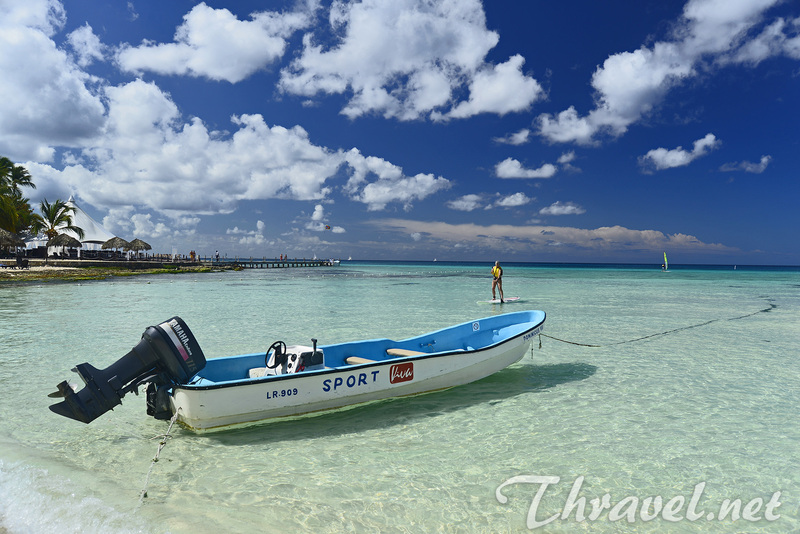 Viva Wyndham Dominicus organizes special trips that are cheaper compared to the tours from Punta Cana to Saona. To the island you travel by speed boat and the way back – with catamaran. The hotel has a private beach on the island where you can have lunch and relax while admiring the untouched scenery of the ocean. This used to be a stopover on a Saona boat or catamaran trip, but in 2014 was closed due to ecological reasons. Catalinita island is a popular dive site. It is located in Parque Nacional Del Este. Hotel Viva Wyndham Dominicus is very close to Rio Chavon. Boca de Chavon Valley offers spectacular views of hills covered with lush tropical vegetation. The tour includes visiting an artistic village built in `70s in Mediterranean style. The main highlights are the amphitheater with 5,000 seats in ancient Greek style; a square named La Piazzetta, and Italian restaurants. Here you can buy arts and crafts. The most attractive quarter of the capital city of Dominican Republic is the charming Zona Colonial. The atmosphere reminds of the romantics of 16th century. One of the hot spots is Plaza de España where many cafes and restaurants serve local drinks and food. Your stay at Viva Wyndham Dominicus can be an ultimate relaxation in a tropical paradise. Here you will have everything you need for a dream vacation!